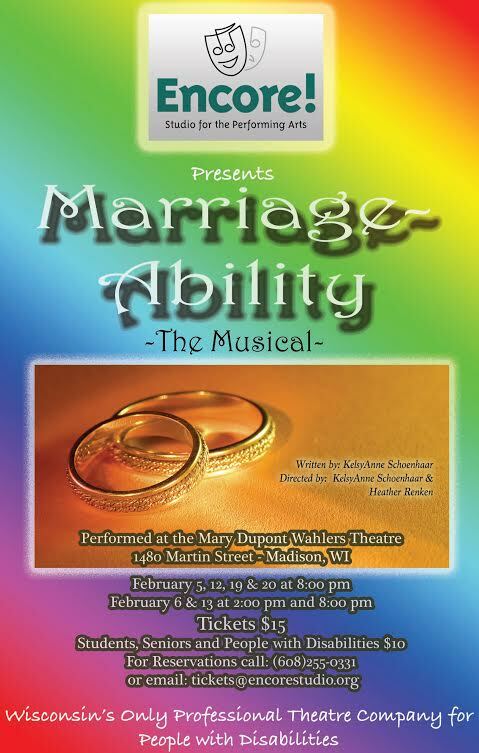 This production will be directed by Executive Director Schoenhaar and Artistic Associate Heather Renken. Ticket prices are $15, or $10 students, seniors & people with disabilities. There will be limited seating so reserve your tickets early! All shows to be performed at the Mary Dupont Wahlers Theatre – at Encore Studio for the Performing Arts 1480 Martin Street, Madison, WI.